The Baltimore is a preserved steam-powered tugboat, built in 1906 by the Skinner Shipbuilding Company of Baltimore, Maryland. 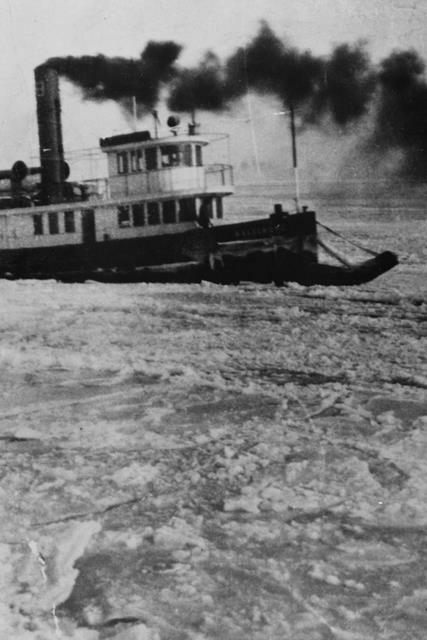 She is the oldest steam-powered tugboat in the United States. 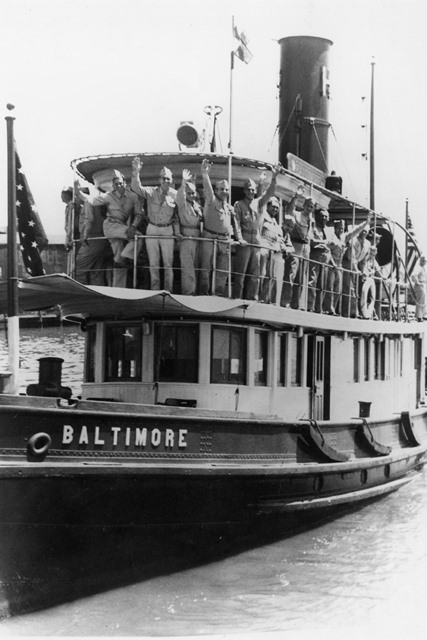 The Baltimore was built and operated as a harbor inspection tug capable of acting as a municipal tugboat for city barges, as well as an official welcoming vessel and VIP launch, an auxiliary fireboat, and a light icebreaker. She was declared a National Historic Landmark in 1993. The Baltimore is equipped with a compound reciprocating steam engine, fed by a scotch marine boiler. Her hull construction is riveted iron with a wooden deckhouse. She has an 84.5 feet (25.8 m) wrought iron hull; displacement measures 81 gross tons and 55 net tons. She acted as a general-purpose harbor vessel, playing roles as needed in her capacity as a representative of the city. The tug took on school tours, carried VIPs and attended ceremonies. In her capacity as an official welcoming vessel for the City of Baltimore, the Baltimore met the German unarmed merchant submarine Deutschland on her first voyage to America, prior to the United States’ entry into World War I. In 1956 the Baltimore Harbor Board was dissolved and its assets, including the Baltimore, transferred to the Maryland Port Authority. 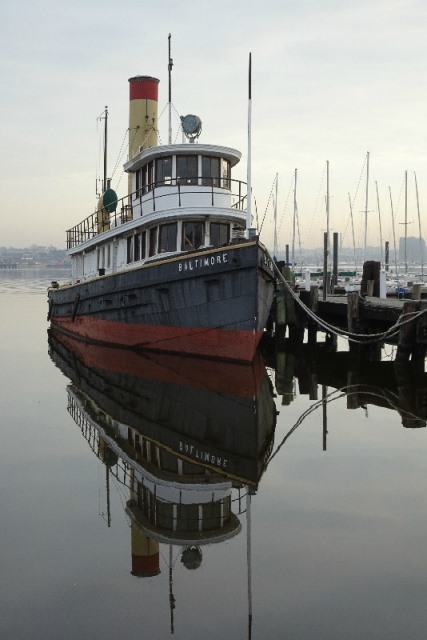 The final owner, Samuel F. and Joanna J. DuPont, had her repaired and certified as a steam yacht then offered the vessel to the Baltimore Museum of Industry in 1981. The tug Baltimore is maintained by a dedicated group of volunteers who meet on Saturdays once a month or as needed during good weather. 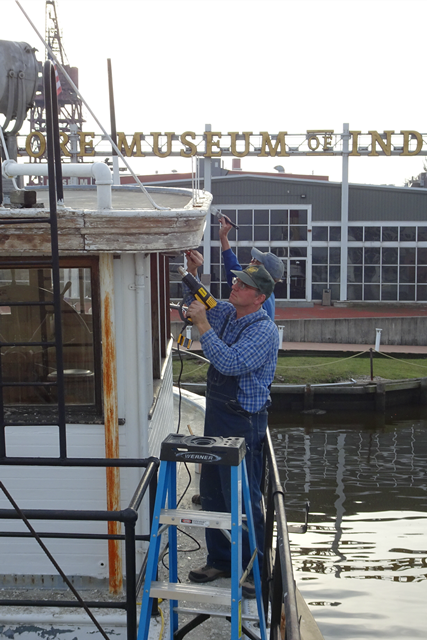 Tasks include maintenance of wood finishes, painting, carpentry, restoration, steam engine and boiler maintenance, and deck repair. General maritime, historical research and interpretation skills are a plus.